Mr. SISAMOUTH is a 68 years old local from Ban Sikai, a small village in the province of Champasak in the South of Laos. Sisamouth told that, only a couple of months ago, the sight in both eyes started to get cloudy. Especially during the day, while at work in the fields as farmer, he was seriously hindered by his quickly deteriorating eyes. Family and friends convinced Sisamouth of the need to go to the Champasak Provincial Hospital in Pakse. The distance from his village to the hospital is less than 8 miles, but how would he ever be able to collect the money for a surgery? How relieved he was when he heard that the treatment would be free of charge to him. After the surgery, the first person that he saw was the nurse. But it did not take long before he also saw his son and daughter. The gladness he felt is difficult to express for the farmer from Ban Sikai. But now, Sisamouth can carry on with his work and so secure his family's income. 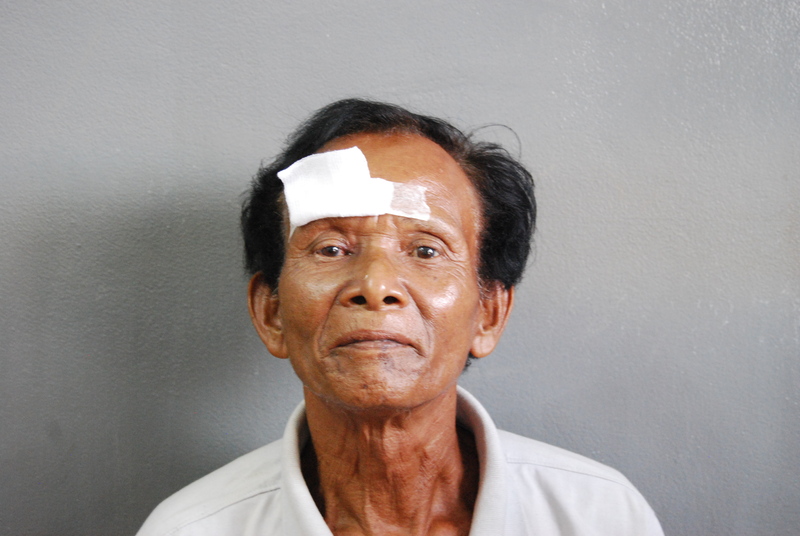 Sisamouth has only one wish: the treatment of his other eye next year!